It seems like former President George W. Bush just couldn’t do anything right in the eyes of many people. He has won the presidency for his first term with the closest gap in the history of the US elections. He left office with one of the lowest ratings ever for an outgoing president. Having led the country in a tragic war for years has made him one of the most hated presidents in recent history. He couldn’t even catch a break since after leaving office; he decided to try his hand on oil painting. Some of his paintings were revealed to the public and were highly criticized. For some, it seems like he didn’t have the artistic abilities to launch a career in that direction. 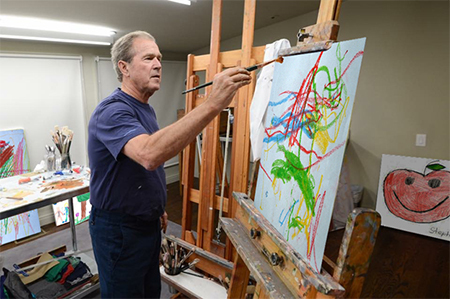 Despite the criticisms, Bush decided to publish a book containing his paintings. 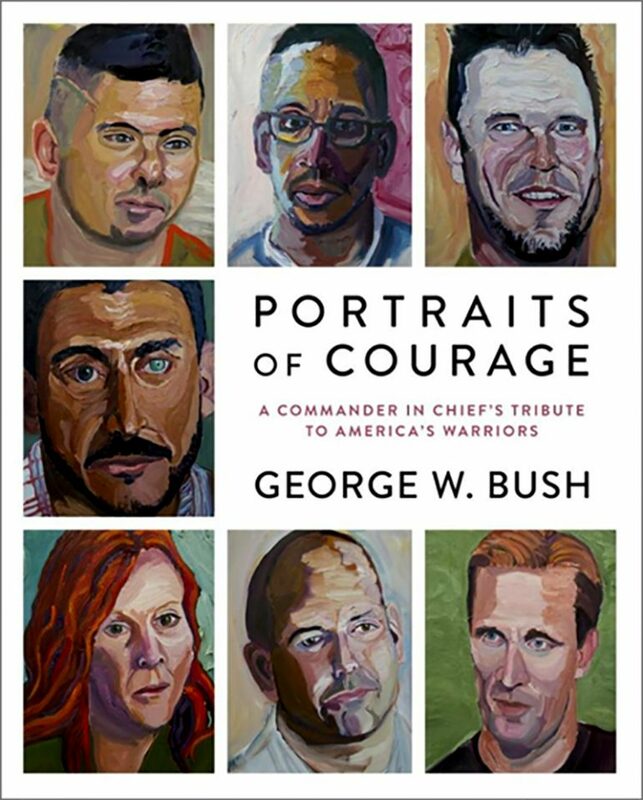 It is called Portraits of Courage: A Commander in Chief’s Tribute to America’s Warriors. Say what you want about the former president’s painting skills, but the book is already a best seller. It contains 66 oil paintings of US men and women who have served in the military and the president have come to know. The proceeds of the book will go to the George W. Bush Institute’s Military Service Initiative. The said organization was dedicated in helping veterans of the war in Iraq and Afghanistan live a normal civilian life again. The said book was more than just a tribute to those who have served in the military. According to Bush, he knew each person he has painted. He even got inspired by these people and their stories when painting. He also kept thinking of what they had to go through- their injuries and sacrifices during the war. Each portrait was written with a description. They were statements of Bush regarding the subject and the details of their military service. He has also tried to give more attention on their struggles and injuries in the line of duty and how they have recovered, both physically and psychologically, after transitioning to civilian life. Perhaps, everyone will remember the Bush administration for his disastrous efforts to start a war in Iraq and Afghanistan. In fact, it was one of the reasons why he was very unpopular as he was leaving for office and Democrats were able to rake seats in Congress and put the first African-American as president. Despite those criticisms, he has still decided to go with this subject in his book. It eventually paid off. Not only did the book become a best seller, it also had tons of positive reviews. According to a review published in the Guardian, the book is one of the most complex relationships between the artist and the subject. According to Bush, he was not really concerned with how the public would receive his book. He was still determined in putting it out there because he wants to pay tribute to the men and women who have served the country during the war. Some critics suggest that considering how bad the current president is, most people might have forgotten Bush and his disastrous policies. This could be the fuel behind the popularity of his recent book.